Above: Frankish Kingdoms in 628 C.E. St. Genesius I of Clermont became Bishop of Clermont against his will in 656. He founded a hospital, abbeys, and hospitals before running away in disguise to Rome. Yet his flock demanded the saint’s return. He died in 660 or 662. St. Genesius was patron of St. Praejectus, born into lesser nobility. St. Praejectus studied under St. Genesius I, whom he succeeded (not immediately) as bishop in 666. St. Praejectus founded churches, hospitals, and monasteries. Political intrigue led to his murder. One Hector, a Frankish nobleman, was accused of various offenses. Authorities arrested, tried, and executed him. One Agritus blamed St. Praejectus for Hector’s execution. Agritus murdered the bishop and St. Amarin, abbot at Volvic monastery, at the monastery on January 25, 676.
you have surrounded us with so great a cloud of witnesses. 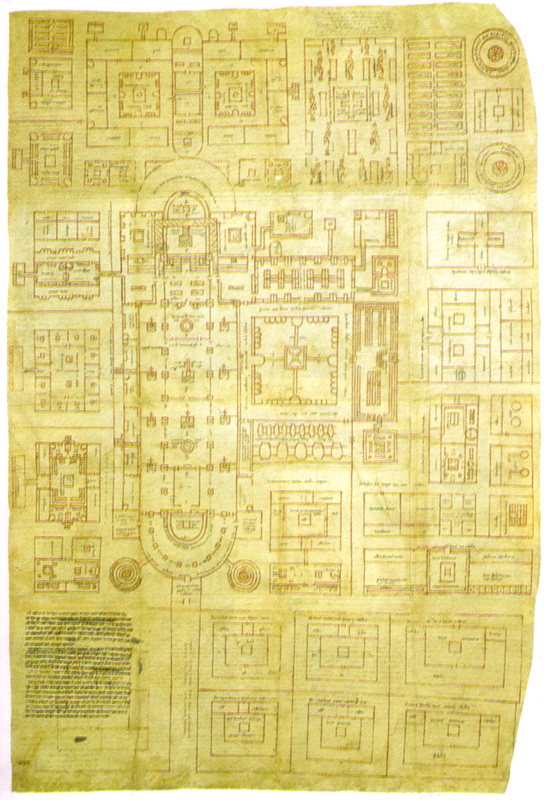 Above: Map of Roman Egypt in 400 C.E. St. Syncletica of Alexandria was born into a wealthy family of Macedonian ancestry. Considered beautiful, she attracted much male attention yet refused to marry; she dedicated her life to God. The saint sold her possessions and gave the proceeds to the poor after her parents died and became a hermit living in a crypt. She wrote on spiritual topics, counseled women, and became the nucleus around which a spiritual community formed. The saint died of cancer. Fortunately, many of her writings survive. 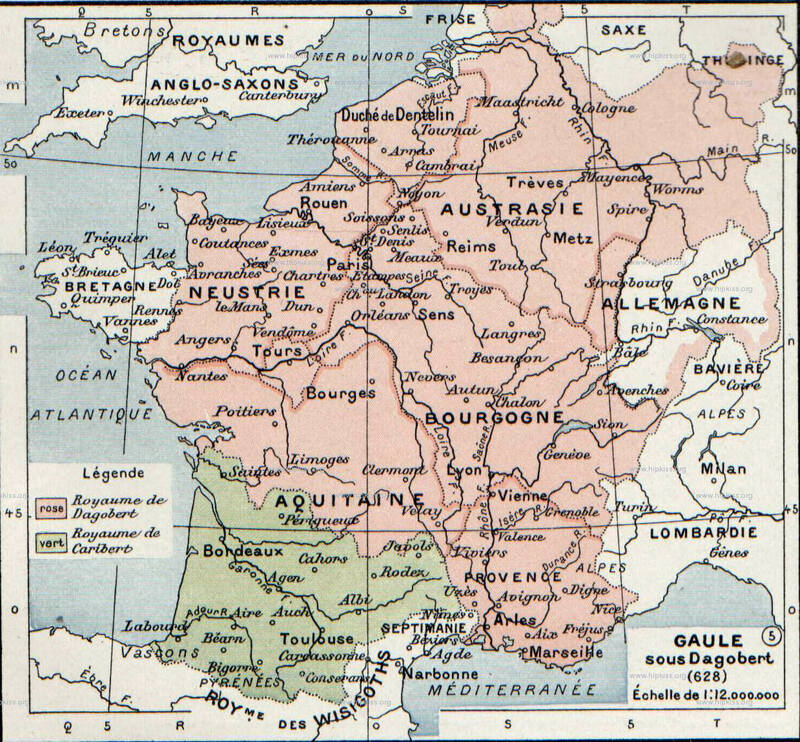 Above: Northern France in 843 C.E. St. Adelard and Charlemagne were first cousins; Charles Martel was their grandfather. The saint became a Benedictine monk at Corbie in 773. He studied under St. Alcuin and advised Charlemagne. St. Adelard also tutored Prince Bernard, who became King of Naples. Accused falsely in 817 of siding with Bernard in a revolt against Louis the Debonair, who succeeded Charlemagne, the saint found himself living in exile on the island of Noirmoutier. He actually enjoyed the peace and quiet the island provided. Louis the Debonair recalled the saint in 821. St. Adelard cofounded Corvey Abbey in Saxony. He died on January 2, 827, at Corbie Abbey in Pirardy. The Roman Catholic Church canonized him in 1026. When hardship comes, may we, like St. Adelard of Corbie, find the blessings around us. The son of a cook in Rome, St. Gaspar del Bufalo became a Roman Catholic priest in 1808. Later that year, he joined Pope Pius VII and other clergymen who refused to swear allegiance to Napoleon Bonaparte in exile. They returned to Rome in 1814. The saint founded the Missionaries of the Precious Blood the following year. He spent years engaged in extensive evangelism in central Italy and worked in the Santa Galla Hospice in Rome. He also earned a reputation as an excellent preacher. At the end of his life, although he was quite ill, the saint returned to Rome in late 1837 to tend to people during a cholera outbreak. The Roman Catholic Church canonized St. Gaspar del Bufalo in 1954.
who made the good news known in Italy. St. Alban Roe was a complicated man. He could be cheerful and generally positive yet unpredictable and cantankerous. This description fits many other saints. It even fits me sometimes. Moral perfectionism is unrealistic, so may we not be overly critical of Father Roe. Rather, may we focus on the positive: This man loved God and Jesus so much that he gave his life for them. Born Bartholomew Roe in England, he and his brother converted to Roman Catholicism and became monks. Bartholomew took the name Alban. He began to study for the priesthood in 1607 but was expelled in 1610 due to bad temperament. He joined the Benedictine community at Lorraine in 1613 and was ordained a priest two years later. Then St. Alban Roe returned to England as a missionary, but authorities captured and deported him. The saint returned in 1618, when authorities arrested and incarcerated him until 1623. They expelled him again. He returned yet again in 1625. Authorities apprehended him again and held him until 1642, when they convicted him of treason and executed him via hanging, drawing, and quartering. The Roman Catholic Church beatified St. Alban Roe in 1921 and canonized him in 1970. Hanged, drawn, and quartered with St. Alban Roe was St. Thomas Reynolds. Ordained in 1592 after studying at Rheims, Reynolds returned to his native England and faced exile again in 1606. Yet the saint returned again and fulfilled his priestly vocation until his arrest in 1628. He spent the next fourteen years in prison until he died at age 80. Both of these men could have lived safely in France, but their faith demanded that they take great risks for God. Of the life of St. Mirocles of Milan we know little. He died in 316, having become Bishop of Milan sometime before 313. We do know, however, that he was a relative of Focaria, mother of St. Epiphanius of Pavia. Raised in the household of Crispinus, Bishop of Pavia, St. Epiphanius became a deacon at age 20 then the bishop’s handpicked successor eight years later. The times were tumultuous. 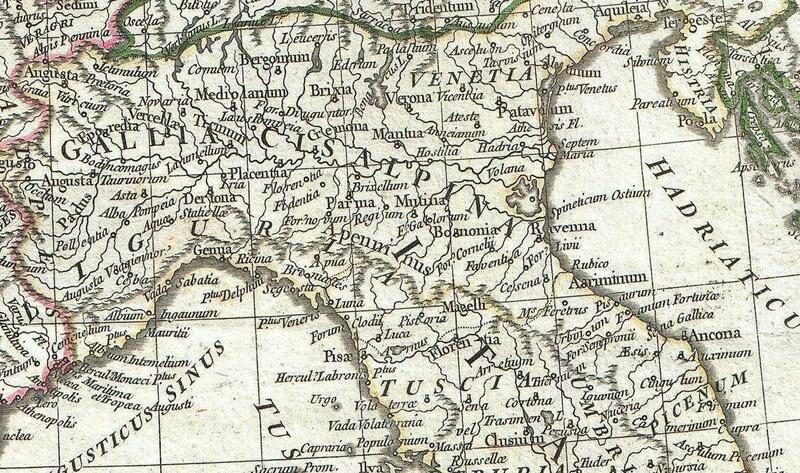 The Western Roman Empire was on its last legs in 466, when St. Epiphanius became Bishop of Pavia. A decade later, Odoacer destroyed the city shortly before Romulus Augustulus, the last Western Roman Emperor, abdicated in 476. 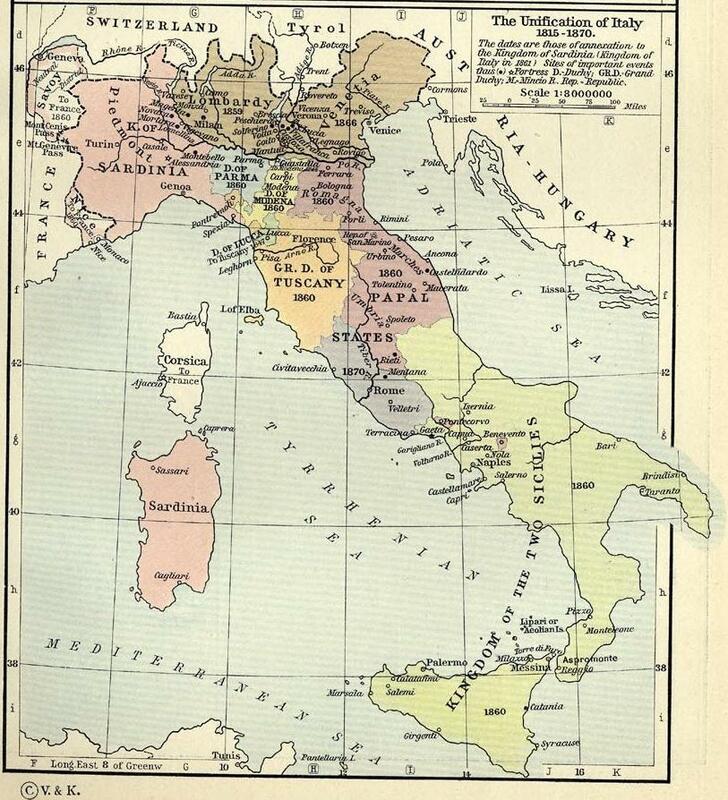 The map of Western Europe changed greatly, with Odoacer ruling as King of Italy and with other successor states rising in the rest of the former empire. St. Epiphanius could not escape the turmoil of his time. He went on diplomatic missions related to barbarian invasions and had to negotiate the ransom of his sister, Honorata, kidnapped from Pavia abbey, and that of Romans who had sided with Odoacer, not Theodoric the Great, who succeeded Odoacer and founded the Ostrogothic Kingdom. Theodoric deprived many of his opponents of their civil rights. St. Epiphanius interceded for these people before Theodoric, who agreed, provided that the bishop intercede for captives the Burgundians had taken in 489, during the war between Theodoric and Odoacer. St. Epiphanius undertook that mission during the Winter weather, dying of exposure to the elements en route to keep his word. including your servants Saints Mirocles of Milan and Epiphanius of Pavia. St. Deicola and St. Gall, Irish brothers and monks, accompanied St. Columban on his missionary journey to Europe. Theuderic II of Burgundy and Austrasia expelled the St. Deicola, the elder brother, at age 80, as well as St. Columban, in 610. St. Deicola settled at Lure, Gaul, where he founded a monastery and devoted the remaining years of his life to prayer and meditation. Illness forced St. Gall to break way from St. Columban’s main missionary band in 612. The latter traveled to Italy, but the former and some hermits settled in the area of Lake Constance, in modern-day Switzerland. St. Othmar founded the great Abbey of St. Gall and became its first abbot. He and his monks cared for the poor of the surrounding community, operated a hospital, and established the first Swiss leper colony. St. Othmar died in exile because of false accusations two nobles had made against him. His good deeds, alas, did not prevent him from suffering due to the perfidy of others. From the Abbey of St. Gall generations of faithful monks did great things for God. Consider the cases of St. Tutilo and St. Nokter Balbulus, for example.